Eight girls from 5th and 6th class attended the SPAR FAI Primary 5’s competition on Thursday 14th March. The girls were energetic and driven on the day. They won two matches out of three with goals from Lucy, Caitlin and a hat trick from Gemma in the second game. All the girls were fantastic and showed excellent teamwork skills. 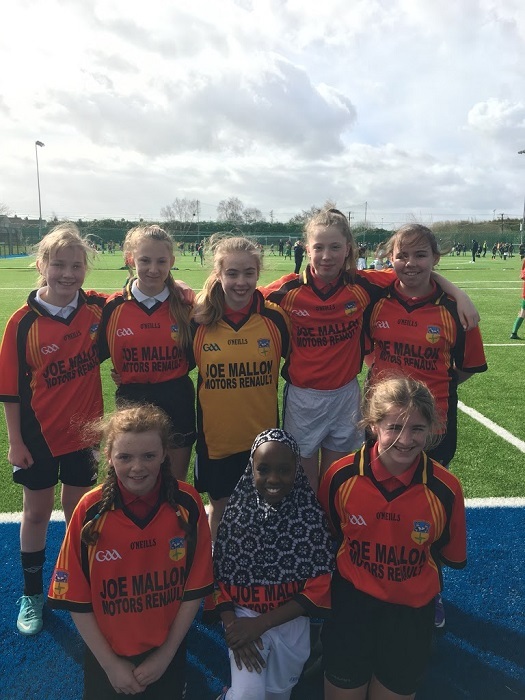 Well done on representing Scoil Bhride!